St. John Ambulance (Abbotsford Branch) has been selected as the 2018 recipient for the Abbotsford Board of Education’s annual Community Matters Award. St. John Ambulance delivers reliable and sustainable community programs, provided by trained volunteers. “There are community organizations and individuals that work every day throughout our schools, engaging with our students and preparing them for a lifetime of success. It is important to recognize the valuable work they do behind the scenes. The Board's Community Matters Award was created to recognize the outstanding work they do in our schools, above and beyond,” said Shirley Wilson, Chair for the Board of Education. This year's recipient was nominated by a parent and a student at Ten-Broeck Elementary school who saw the benefit of the Paws 4 Stories, a program designed to improve the reading skills of children by having a child read to a Therapy dog, and many other Therapy Dog services used throughout the Abbotsford School District. St. John Ambulance Therapy Dog community service supports children’s reading skills, helping anxious students during exams, or comforting students who might need additional support. A Ten-Broeck student wrote, "St. John's Ambulance comes to our school every second Wednesday and we get to read books to one of their dogs, her name is Bonnie. I think Bonnie is the softest, most calmest dog in the whole world." A total of four nominations were received for the 2018 Community Matters Award. 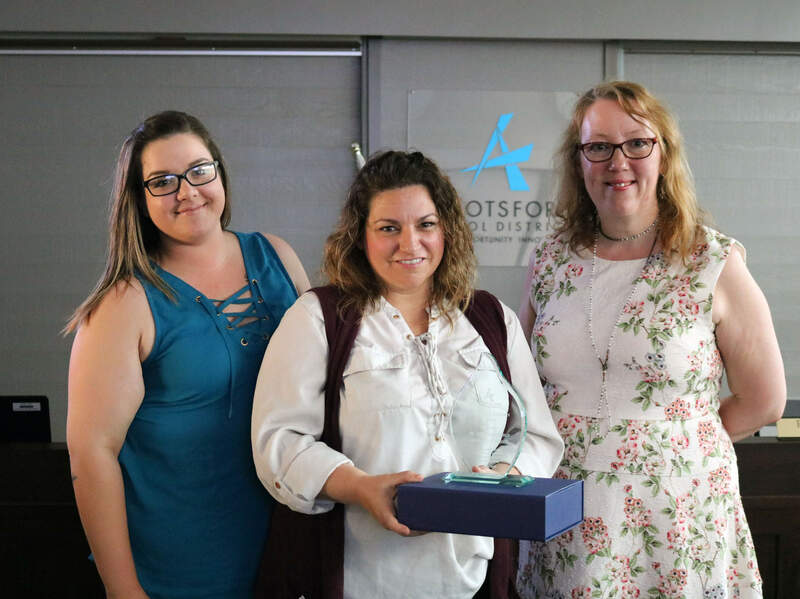 The Board established the annual award in 2014 to recognize community partners who have made a significant contribution to the lives of students in the Abbotsford School District. The award is intended to acknowledge external individuals or organizations who have exceeded their service mandate to children. School Cash Online - Do you owe any money?